Our residential aged care homes in Otago deliver a range of services including rest home, dementia and hospital care. A range of rental and retirement village living options are available across Otago. Enliven offers services to assist older people living in their own home. Some things make for healthier, happier living, no matter what your age. A sense of community; friends, family, whanau; giving and receiving; making decisions for yourself; and, most of all, practical support when you need it. At Enliven we work alongside you and your family to achieve these things. Enliven offers you choice.  Whether you are looking for retirement living options, activities in your community or supported living facilities, Enliven will work for you. Presbyterian Support Otago was very pleased to sign a Memorandum of Understanding this week with the Southern District Health Board, to pilot an Older People’s Health Nursing Development Programme. Nina Lunn recently rejoined our team when she began as the Manager at Holmdene Enliven Care Home in Balclutha.